The Camelbak Eddy Daisies kids 0.4L water bottle helps children avoid dehydration at school and during exciting outdoor activities and has an adorable, colourful and girly Daisies print. This durable, child-safe water bottle is ready for any adventure and features patented CamelBak Big Bite™ Valve making it easy to use. The bottle ensures spill-proof hydration and has been made for children aged 3+. It is produced from BPA, BPF and BPS free Tritan™ and can be washed in a dishwasher. The Eddy bottle with a capacity of 0.4L (12oz) is covered by CamelBak® Got Your Bak™ lifetime guarantee. 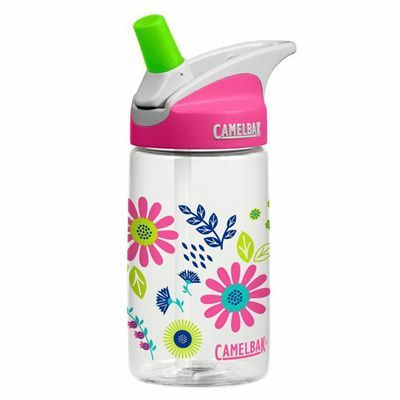 for submitting product review about Camelbak Eddy Daisies Kids 0.4L Water Bottle.